Following on from existing N-Line versions of the i30, the Tucson takes a similar approach – pairing conventional powertrains with a few suspension tweaks and a sporty bodykit. 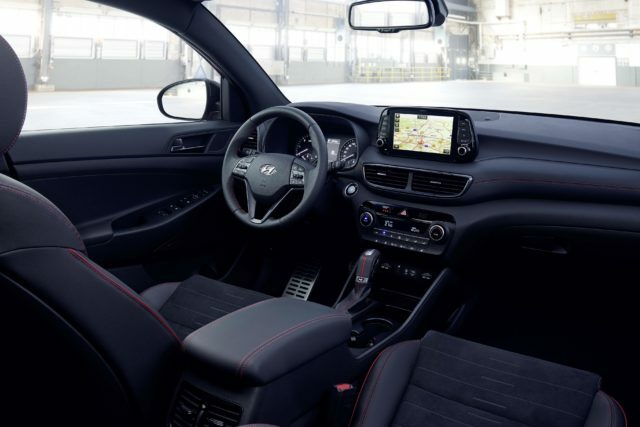 It aims to provide some of the glamour and driving composure of Hyundai’s flagship N performance models for drivers who don’t want to commit to a full hot hatchback. 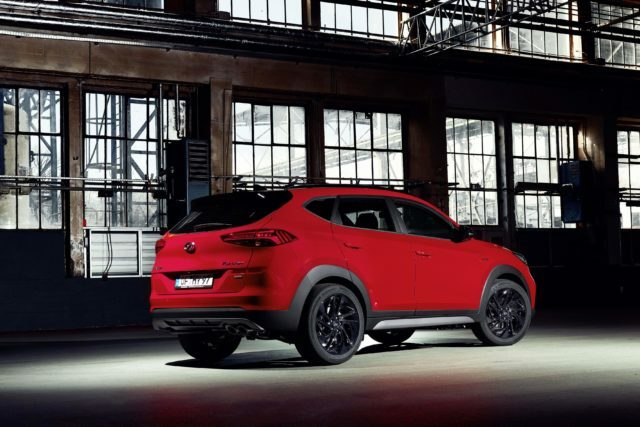 Hyundai has upgraded the Tucson’s driving dynamics with more rigidly-sprung suspension and adjusted the steering for greater feel. The Tucson N-Line gives us some idea of how the full-fat Tucson N will look when it arrives in the next couple of years. A sporty bodykit brings redesigned bumpers and a dark mesh for the grille, as well as 19-inch alloy wheels finished in black. Black trim also features on the rear spoiler and side mirror housings. The interior hasn’t escaped a makeover, either – it gets N-branded sports seats finished in leather and suede, plus red stitching across the steering wheel, seats and gear shift. Hyundai will offer the Tucson N-Line with a choice of two powertrains – one diesel and one petrol. New to the range is a 1.6-litre CRDi diesel with 134bhp, which now features 48V mild hybrid technology to improve fuel economy. Sitting above this is a 1.6-litre turbocharged petrol with 175bhp. Other markets get a 2.0-litre diesel with 182bhp, but that powertrain won’t be available on UK N-Lines – it’ll remain exclusive to Premium and Premium SE trims. Hyundai hasn’t yet revealed pricing for the Tucson N-Line, but expect it to go on sale later this year.